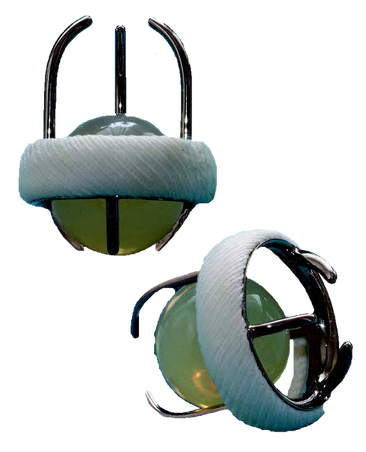 Closing component: Silastic ball held within a stellite alloy care (open position) which obstructs the metallic ring in closed position which is covered with a Teflon (Dupont, Wilmington, Del) fabric sewing ring for implantation. 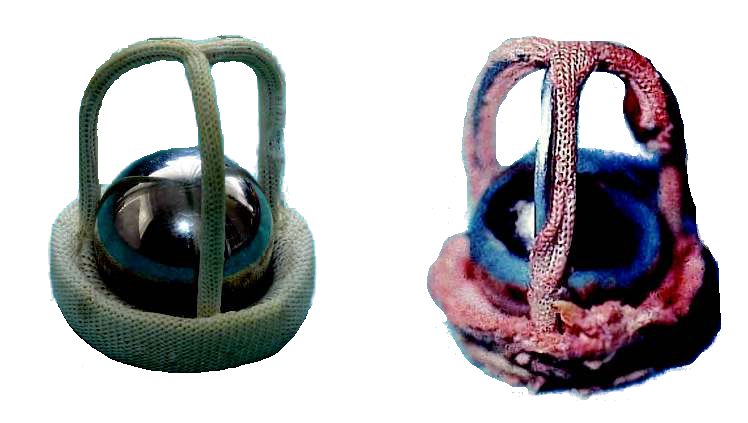 The silastic ball does not sit at the titanium alloy ring but is stopped by a second smaller cage. Limited reduction in the incidence of thromboembolic events and haemolysis was achieved but remained limited to the first months or few years after implantation. 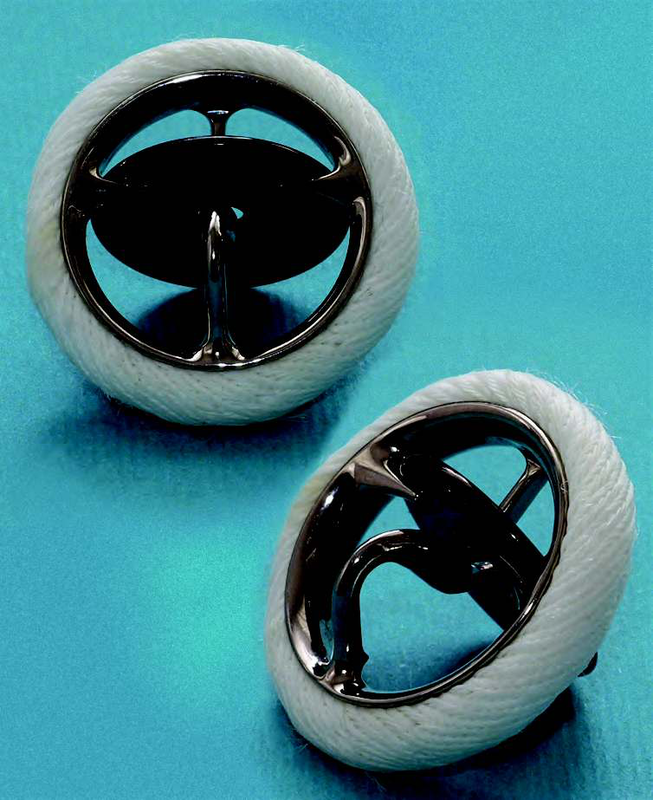 ﻿Non-tilting ﻿disc valves were introduced into clinical practice in the late 1960s into clinical practice. Were the most-often implanted valves in the 1970s and 1980s. Precise knowledge of the tilting angle in monodisc and bileaflet valves is important for eventual diagnostics of the valve failure. Discs are radio-opaque and therefore fluoroscopy imaging can confirm their normal mobility or diagnose restricted range of motion, or even complete occluder blockade. The most commonly used valves In Europe . The First Model had a delrin disc, tilted up to 60°. Soon replaced by a the standard type with pyrolytic carbon at disc tilting up to 60°. Has a significantly improved haemodynamics. Discontinued in the late 1980s because the inflow bar broke in some after 2–3 years of perfect performance, causing escape of the disc and acute valve regurgitation (can be lethal). 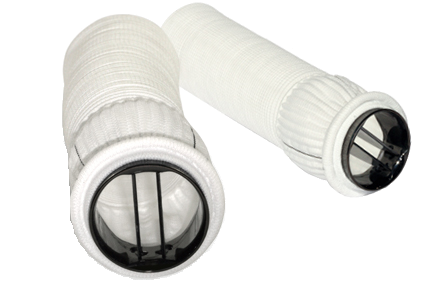 Since then, the struts in all heart valves are not welded but manufactured from a single block of metal or alloy or from pyrolytic carbon. Introduced into clinical practice in 1982. The disc-housing system was changed and the angle of tilting was increased to 70°. 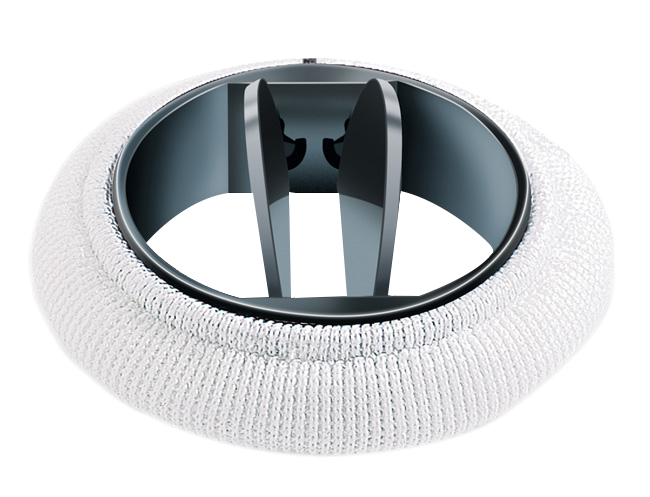 The Ultracor–Aortech valves (developed in 1985), the tilting angle of which is 73° in the aortic model and 68° in the mitral model, have also been implanted. Material and shape of the sewing ring. Depth of the leaflets in their open position. Best-known and most implanted mechanical bileaflet valve. In clinical practice in 1977 (SJM Standard). Semilunar leaflets open up to 85° and close at 30°, yielding a tilting range of 55°. SJM Regent 19-mm valve has an EOA of 1.84cm2 which is sufficient to prevent PPM in a patient with a body-surface area of 2cm2. Second most commonly implanted bileaflet valve. Semilunar leaflets are convex–concave shaped and tilt up to 80° and close at 20° . 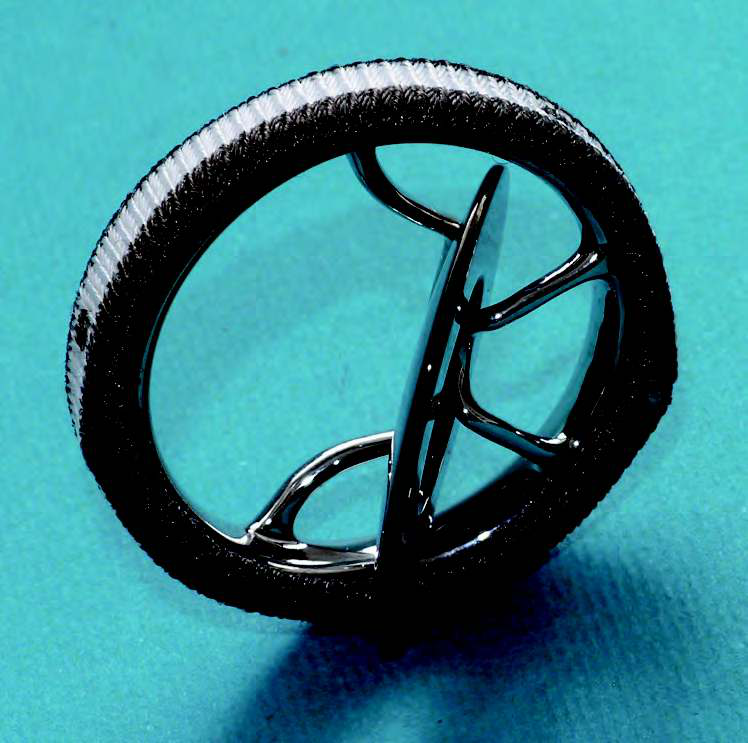 Sewing rings Fitline or Slimline (suitable for small annuli). Overline (intended solely for supra-annular implantation). 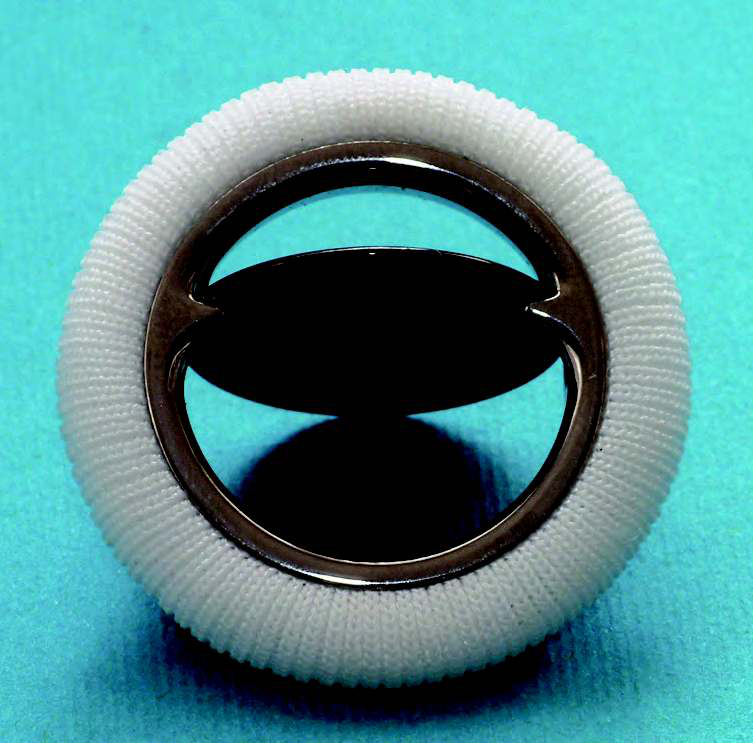 The same mechanism, but a different sewing cuff material, is typical for the Edwards MIRA valve (since 1997). In clinical use since 1986. Semilunar leaflets tilt up to 78° and close at 25°, which gives a tilting range of 53°. Medtronic Advantage has, since 2003, A modification for supra-annular implantation named Medtronic Advantage Supra. 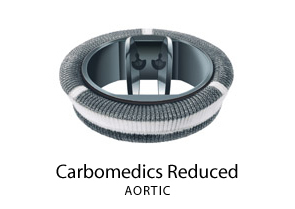 The most recent bileaflet valve introduced into clinical practice is the valve CardiaMed. 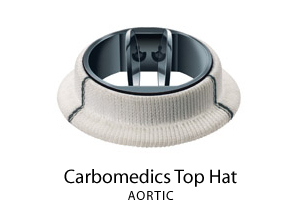 Ascending Aortic Prosthesis - CryoLife, Inc.